Put some sass into that tailgate menu with Sassy Tailgate Sandwiches Recipes! 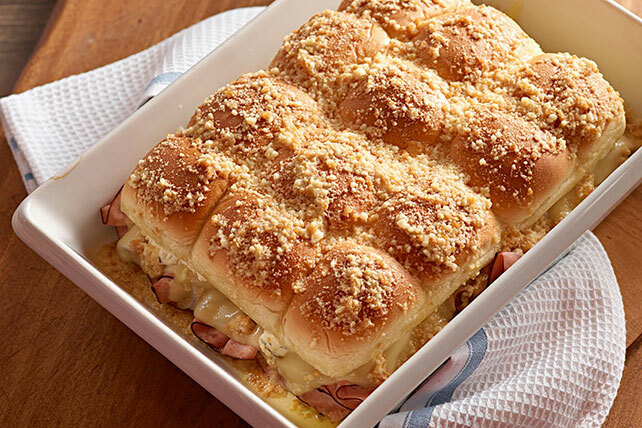 This video shows you how to make ham and cheese Sassy Tailgate Sandwiches Recipe with some serious 'tude. Cut rolls in half; place roll bottoms in 13x9-inch pan. Cover with ham and Gruyere. Spread cream cheese spread onto cut sides of roll tops; place over sandwiches in pan. Heat oven to 350ºF. Bake sandwiches, covered, 20 min. or until heated through.